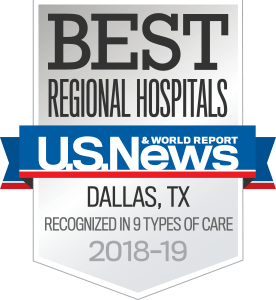 The Department of Cardiovascular and Thoracic Surgery at UT Southwestern Medical Center is one of the nation’s leading programs, with more than 600 open-heart procedures and more than 500 thoracic procedures performed each year. Our surgeons are continuously involved in cutting-edge research that leads to new therapies aimed at safely and effectively improving our patients’ quality of life. In addition, we are passionate about educating and training tomorrow’s cardiothoracic surgeons to be the best in the field. Our distinguished faculty members are fellowship trained and certified by the American Board of Surgery and the American Board of Thoracic Surgery. We conduct both basic and clinical science research, working to ensure that our patients benefit from the latest research and technology. Our department has received funding from the National Institutes of Health, the American Heart Association, the American Lung Association, the Texas Advanced Technology Program, and industrial sponsors. One of our top priorities is to educate and train the very best cardiothoracic surgeons of the future. Our department offers clerkships and clinical electives to UT Southwestern medical students interested in the specialty, as well as electives to medical students from other institutions. Learn more about educational opportunities. A key part of our mission is to set the highest clinical service standards for delivery of cardiothoracic surgical care. Our surgeons offer a complete spectrum of care for adult and pediatric cardiovascular and thoracic disease, and our patient outcomes are among the best in the nation. In addition, both our pediatric heart transplant and adult heart and lung transplant programs have been consistently ranked in the top 10 transplant programs in the country. Learn more about our patient care expertise.